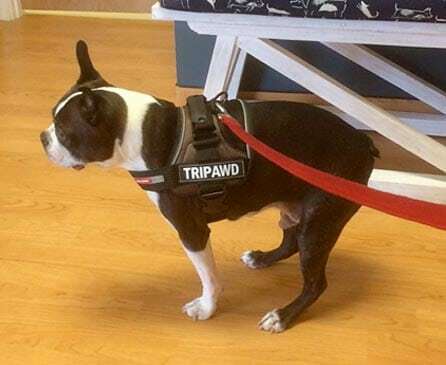 Tripawds Community member chesterthe3leggedboston took advantage of the Maggie Moo Fund for Tripawd Rehab. Read on for details about Melisa’s experience with rehab for Chester, and act now if you plan to apply for reimbursement as this trial program is coming to an end soon! 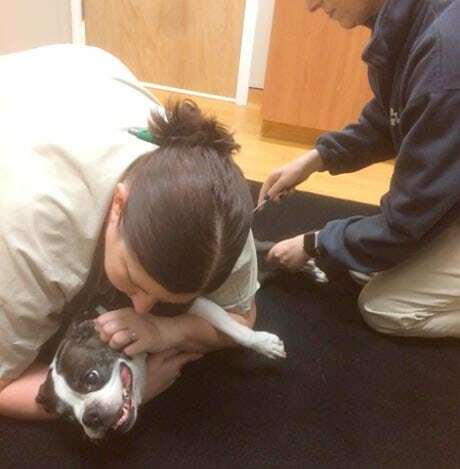 Chester is a sweet 7 year old Boston Terrier that came to us as a rescue in September of 2014. He had a slight limp in his front right leg and we thought it may be due to long nails and limited exercise. We started walking regularly and weekly nail trims. The limp got worse. Chester in his Tripawd Convert Harness by EzyDog. In March 2015, we had an X-ray done of his leg and shoulder and it was noted that he had degenerative disc disease. We scheduled an MRI with a neurologist and it was thought the limp was caused by that. After cleaning out the discs, his limp actually got worse. Months of restricted activity and still no improvement. We saw an orthopedic surgeon in May 2015, after an additional 4 months of testing, medications, there was no identified reason for the limp. At this point he wasn’t even using his leg anymore, holding it up when he walked. We decided with our surgeon amputation was the way to go. After the amputation, the surgeon looked at his shoulder and determined he had sever scar damage that was not repairable so there would’ve been nothing we could’ve done to help him except manage the pain. He did fantastic after the amputation, was “running” around, playing, just so happy. 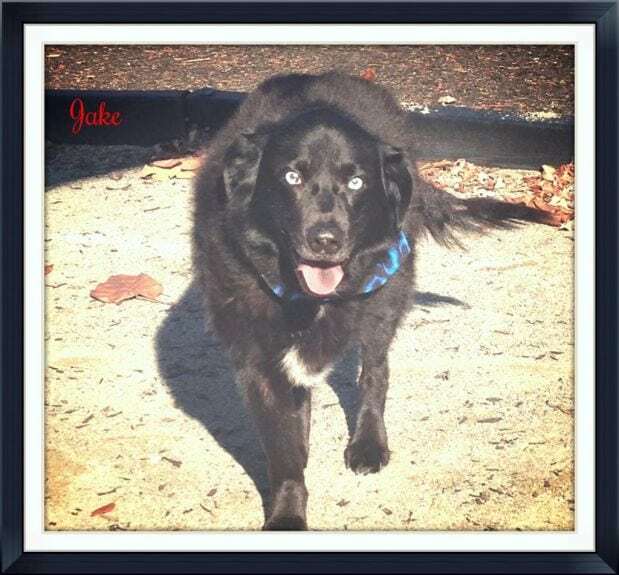 Then at the end of October he played for a while with a puppy and was limping with his right rear leg. We think he overworked it and has been limping since. Our orthopedic surgeon recommended PT and that is what we chose to try out. 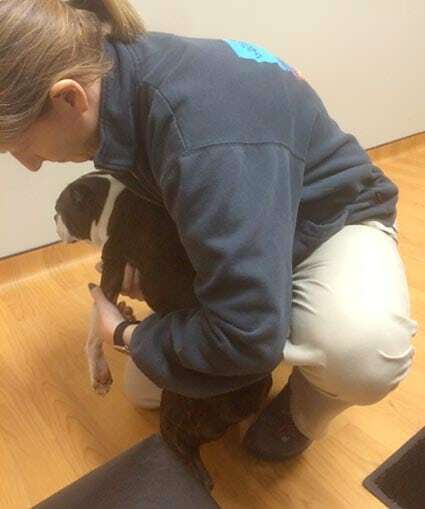 Today, February 4, 2016 was our first initial consultation visit with Dr. Stephanie Kube from Veterinary Neurology and Pain Management Center of New England in Walpole, MA. She examined Chester and reviewed his medical history. She looked at him both physically and neurologically. Tested his reflexes and observed him walking. She then examined his movement in his legs and arm to determine his range of motion. She was concerned with his front leg weakness since Chester had previous disc issues. Her recommendations for next steps is to do an MRI and then come up with a rehab plan that will support both his disc issues and build his strength in his legs. This will include medication an physical therapies and possibly surgery if needed. We hope to hear more about Chester’s treatment plan and will provide updates as we receive them. Zeus Was Loved by Many! Oh my goodness! Such a cutie!!! And what a journey! You and Chester jave been through sooo much! Unbelievable!! Chester sure hit the puppy lottery when he found a furever home with you! It sounds like the Rehab Specialist jas really come up with a good plan of action and SOLUTIONS! In the meantime, I wonder if Chester would benefit from the use of a doggy stroller? Check out the gear blogs here for some optio s.
PLEASE keep us updated. We all fell in love with the first poct2ure of Chester! Just wanted to share a quick update on Chester. He has spent the last 3 weeks resting and on steroids. His MRI determined he does have IVDD and discs are bulging in his tail area and one pretty bad in his neck, which is believed to be the cause of him “tripping” and falling forward. BUT he has been doing much better! We are officially starting rehab tomorrow! He will spend some time in the Hyperbaric Oxygen Chamber and they hope to do some underwater treadmill as well as some manual exercises to help with balance and to rebuild some muscle he has lost. He is scheduled for 3 sessions over the next 3 weeks. I will be sure to update after rehab this weekend and let you know specifically what was done and how he is doing! (we also had an unrelated incident where he broke a tooth and will need surgery for removal, but we are holding off until after his neck is healed more!). Happy hopping!